Component which protects against sunlight from the front or the side. 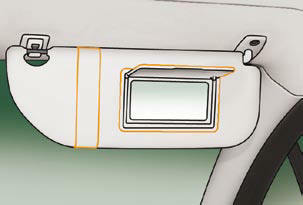 The sun visors are fi tted with a courtesy mirror, with concealing fl ap for the driver and a ticket/card holder. Refer to the "Familiarisation - § Zenith windscreen" section.